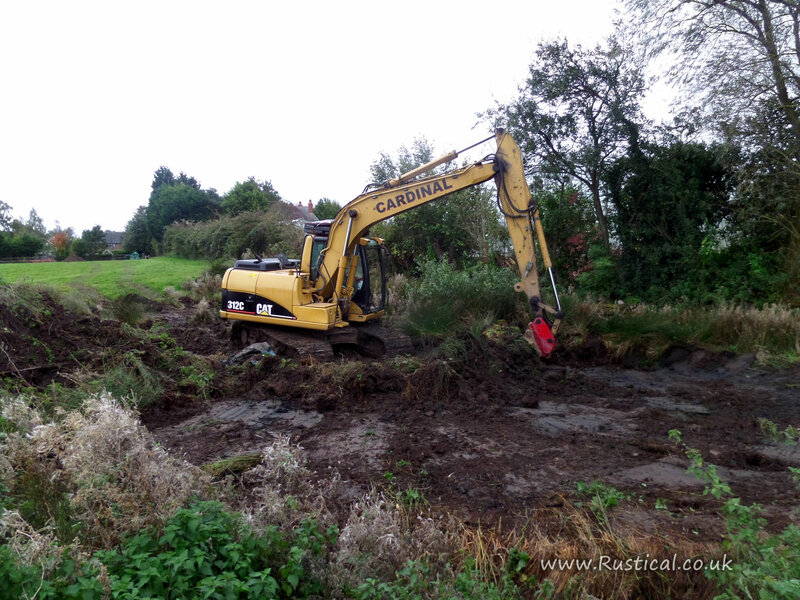 The long anticipated cleanup of our ponds began today. Hooray! The right machine in the hands of the right driver makes light work of what would have otherwise been an insurmountable task. 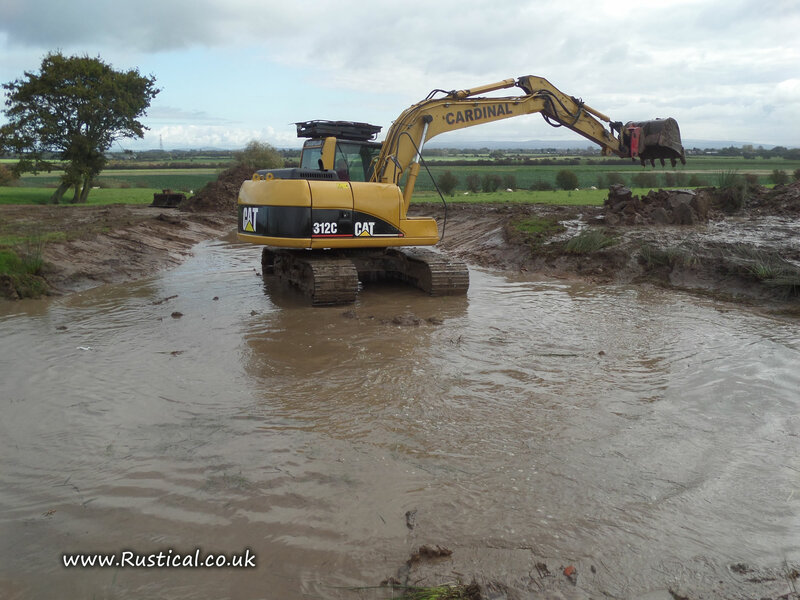 It poured down in the night so even after a couple of hours work with the digger it looks like a pond again. 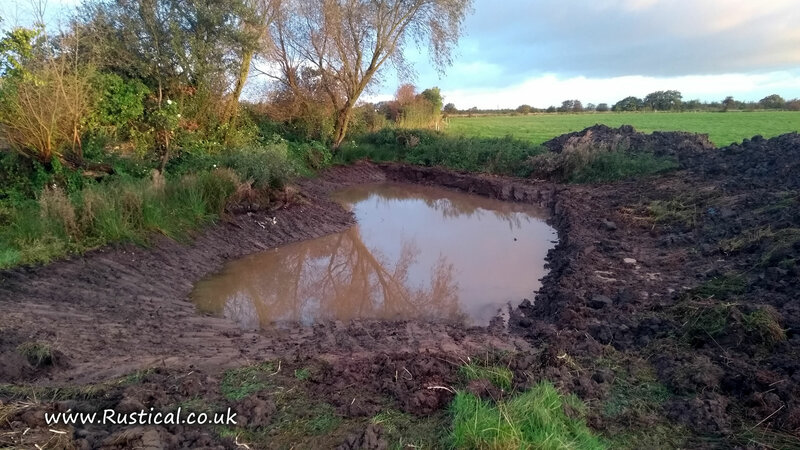 A dry Sunday morning provided a window to make a start on slobbing out the ‘Bomb Hole’ pond. Previous Previous post: Harvest Wreath Success!